Dhaka, 21 Jan, Abnews: The former Liverpool man has been frustrated in his attempts to settle in at Camp Nou by a thigh injury, but he is now training normally. 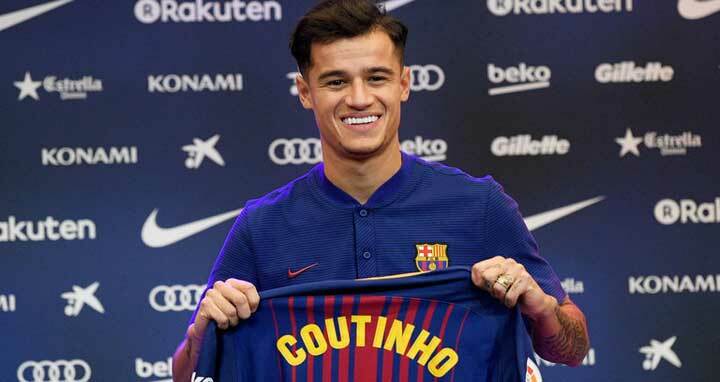 Philippe Coutinho has trained with Barcelona for the first time since completing a €160 million move from Liverpool. The Brazil international became the Catalan giants' most expensive acquisition earlier this month but his debut has been delayed by a thigh injury. Coutinho's first appearance in a Barca shirt edged closer on Saturday, though, as he turned out for training with his new team-mates. Pictures shared on the club's Twitter account showed the likes of Lionel Messi and Gerard Pique applauding the 25-year-old as he was presented to the rest of the squad. Coutinho's return comes too late to push him into contention for Barcelona's next outing. The Catalans visit Betis on Sunday, buoyed after nearest La Liga rivals Atletico Madrid dropped two points in a 1-1 draw with Girona. A win in Andalucia would see Barca move a massive 11 points clear at the summit, with rivals Real Madrid trailing far behind as the season moves into its second half.